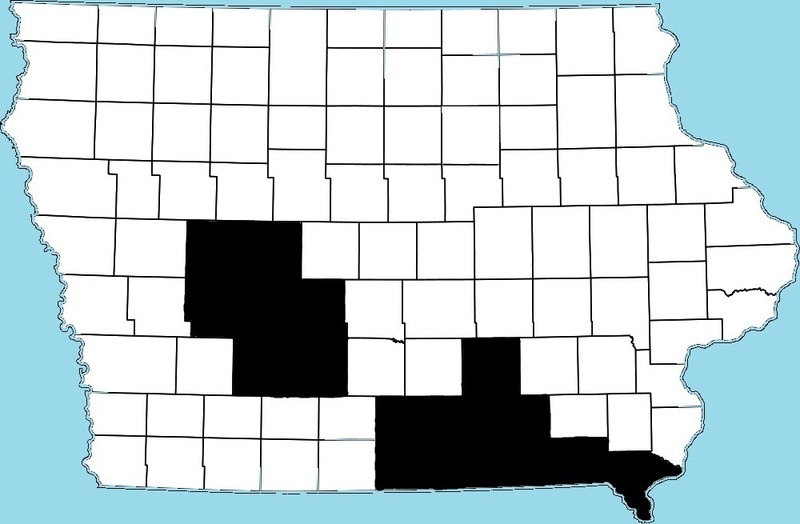 The plan was simple, get back to Iowa and go to as many courthouses as we could in the southern part of the state. We planned on staying the night at ‘The Forty,’ which is forty acres in Lucas County owned by Jami’s Grandma. A total of 427.1 miles and 9 hours and 15 minutes driving time. 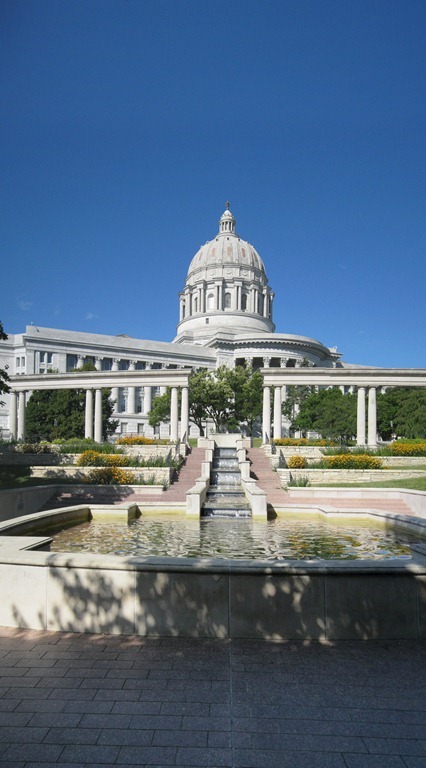 We left St. Louis and headed west on U.S. Highway 50 which took us directly to Jefferson City, the state capitol of Missouri. 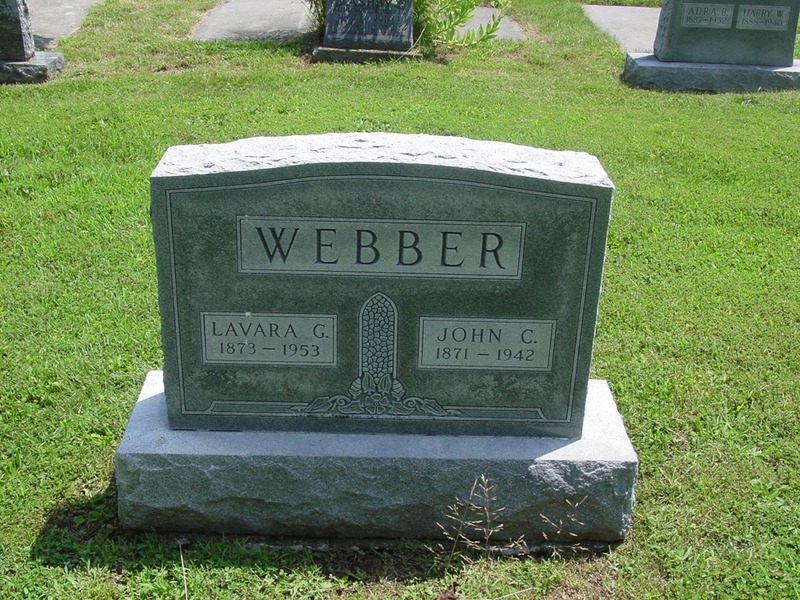 John Calvin Webber and LaVara Gross; my Great, Great Grandparents. 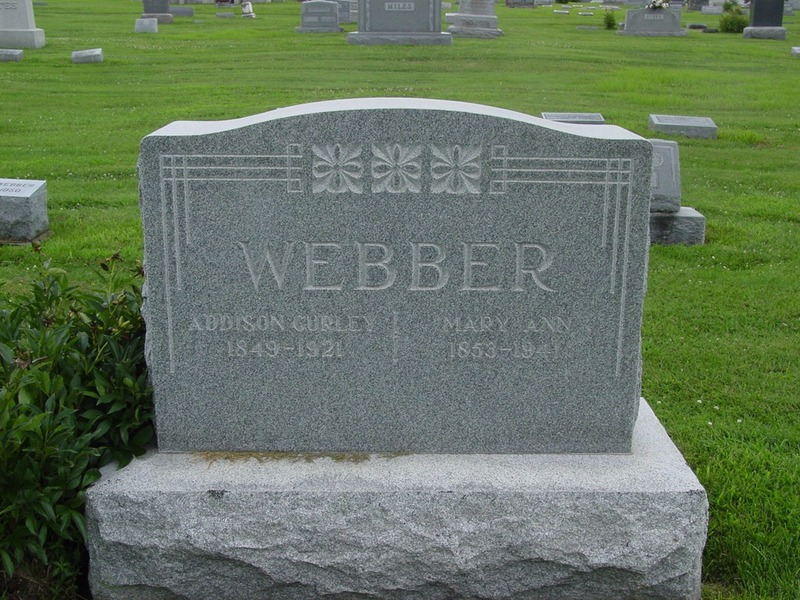 Addison Gurley Webber and Mary Ann; my Great, Great, Great Grandparents. 12. Davis County Courthouse. Bloomfield, Iowa. 13. 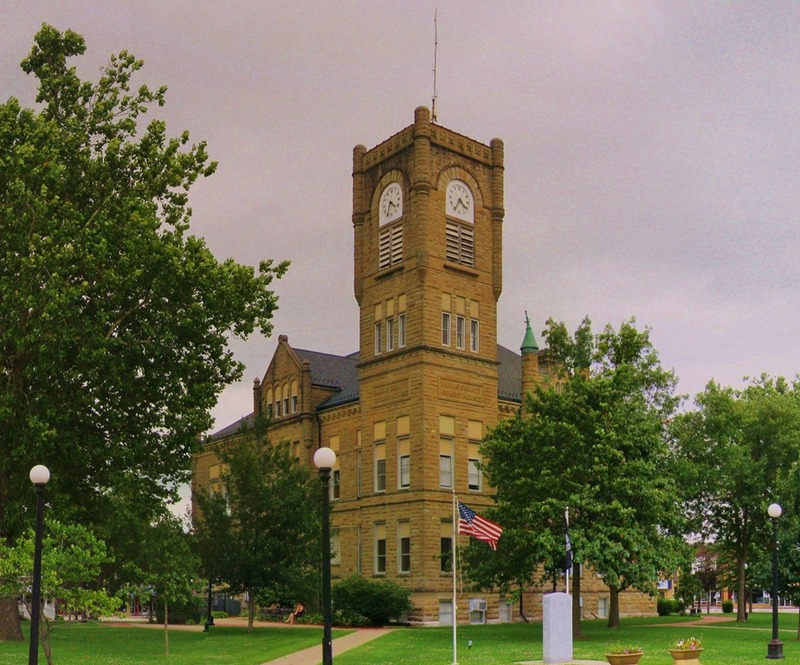 Monroe County Courthouse. 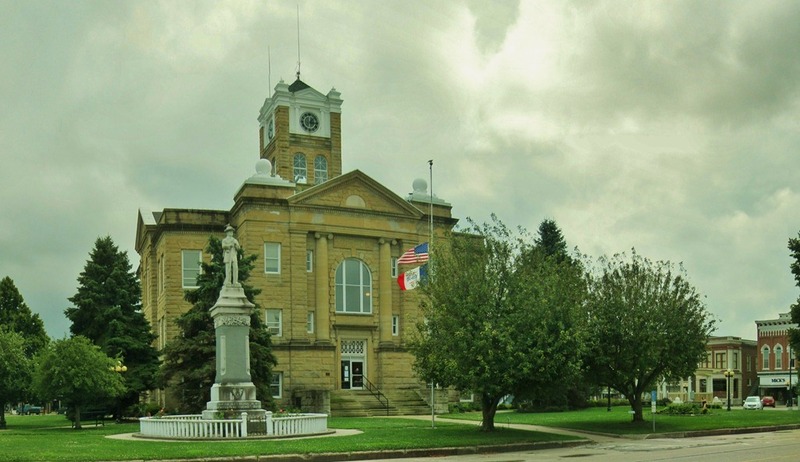 Albia, Iowa. 14. 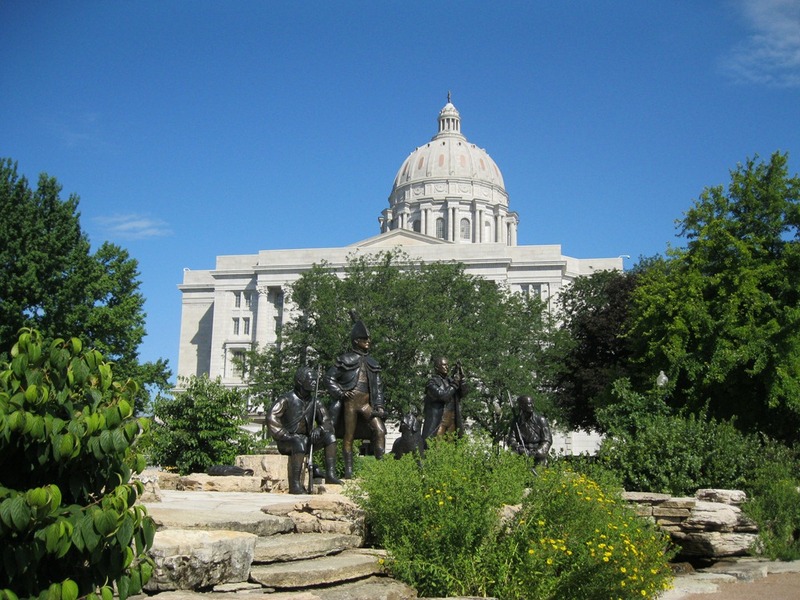 Appanoose County Courthouse. 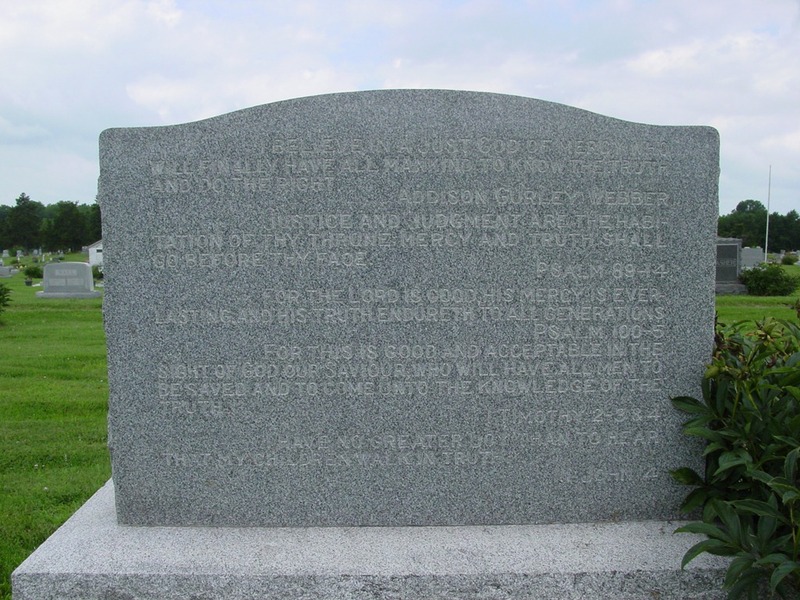 Centerville, Iowa. 15. 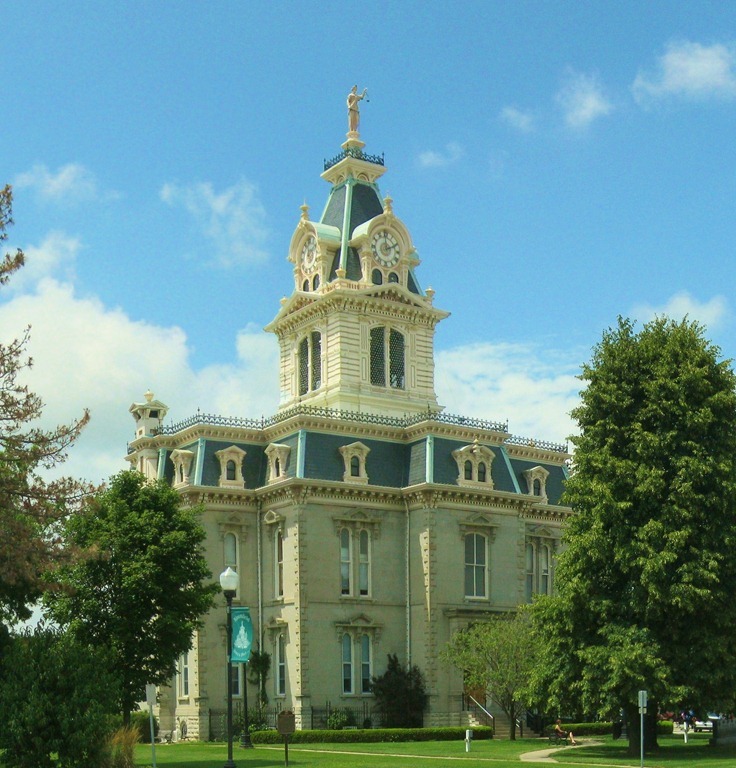 Wayne County Courthouse. Corydon, Iowa. 16. Lucas County Courthouse. Chariton, Iowa. This was a long day and we didn’t spend any time looking for things along the way. 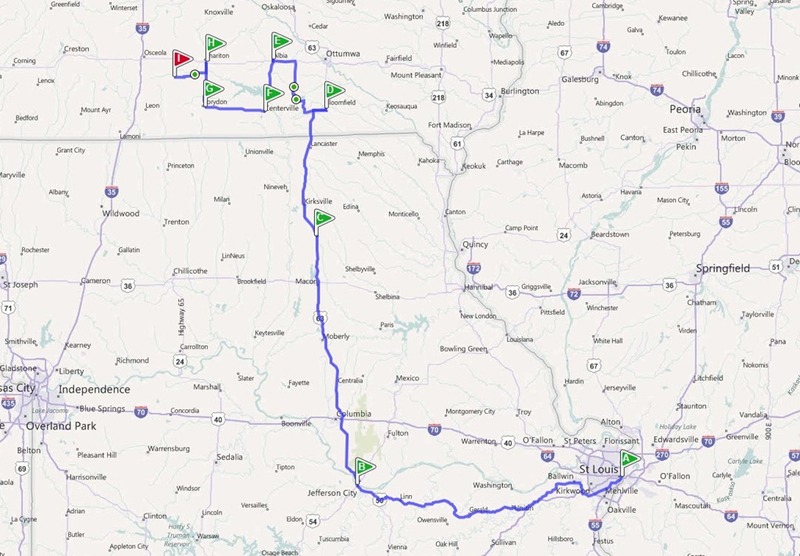 We drove the shortest route possible to each destination. 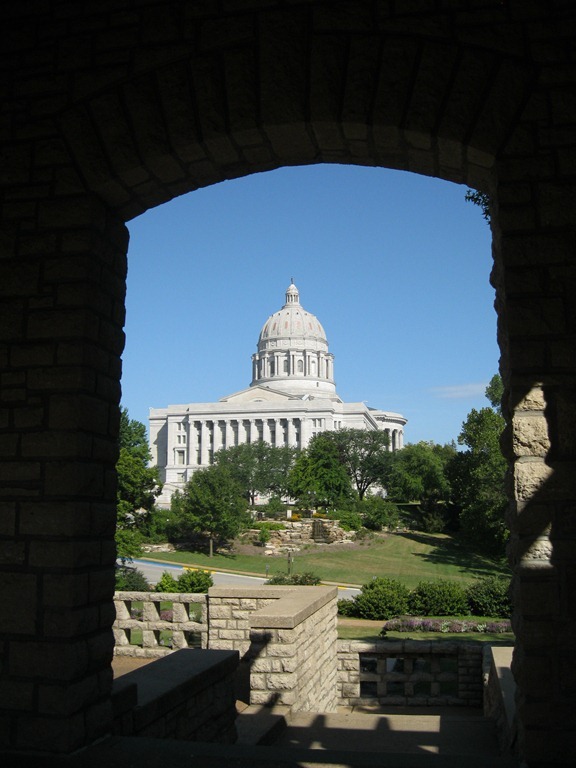 This entry was posted in Courthouses, Iowa and tagged Albia, Bloomfield, Centerville, Chariton, Corydon, Jefferson City, La Plata. Bookmark the permalink.